← Mamma Chia: Can I resist ya? When you live in Freezingtown, USA (also known as Boston), running outdoors takes on a whole new chilly, windy, frostbitery dimension – one I was quite unprepared for in the apparel department. Apparently, I needed fancy new tights. We’re definitely not talking your average, everyday gym leggings here. The stretchy marvels that were delivered to my abode yesterday, made by CW-X (the company also does compression socks – which still give me the fear), are from another universe™. 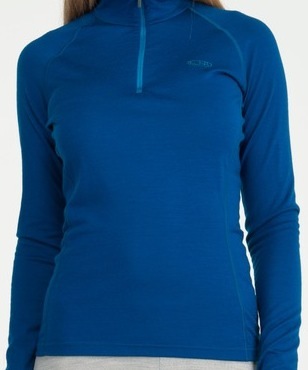 They insulate, you see, with “WarmStretch™ temperature-regulation fabric to maintain a constant comfortable surface temperature in a variety of conditions – perfect for the cold weather athlete” (um, that’s me!) – according to the CW-X website. They also feature Support Web™, which uses “kinesiology-taping technology to create an exoskeletal support system” (well, I do need all the support I can get). The thing is, these tights are just so full of awesome, there’s no way I can possibly live up to them. (Did I mention that mine are called Insulator Expert Tights? That’s right, EXPERT.) I put them on and immediately feel like a fraud. They’re for marathon runners for whom a 5K is a casual jog around the block; not for me, who breaks into a lavish sweat after half a mile and still hasn’t managed to go 5K without walking. I was exited to get them though. My running hiatus is about to draw to a close in spectacular fashion (I have two 5Ks this Turkey Day weekend), and there’s nothing like some new gear for motivation. But are they supposed to cut off the circulation to my feet? Getting them on for the first time is a challenge. Perhaps it’s meant to be some kind of warm-up routine? My grunting and gasping may have prompted the neighbors to wonder what the heck was going on upstairs. On closer inspection, I realized I had failed to observe the instructions. You’ve got to love a piece of clothing that comes with pointers. 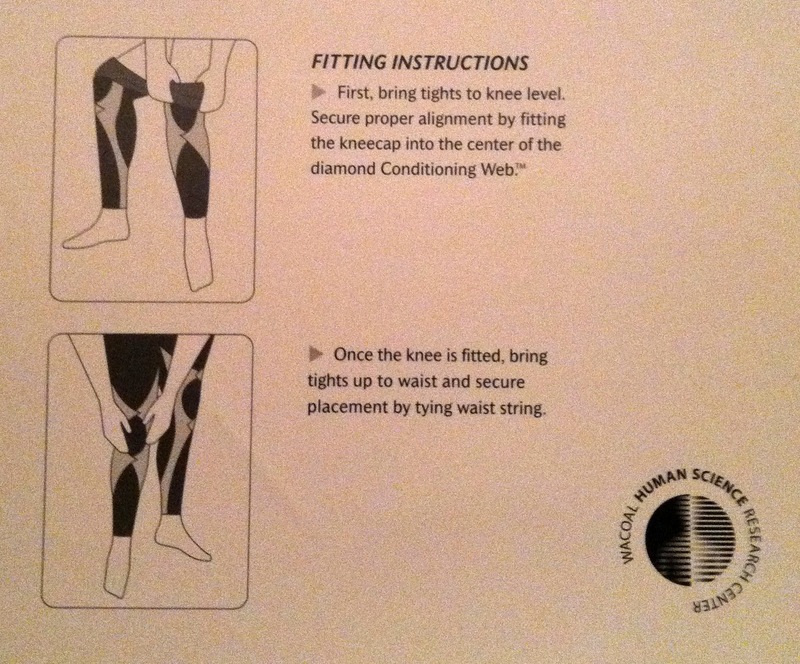 Ah, I see, I was remiss in not securing my kneecap in the diamond Conditioning Web™ before yanking the tights up and almost dislocating my shoulder. It's all about the knee! Still, my excitement remains. They are very warm. And extremely snug, which I think is the point. And they will make their debut at the Feaster Five Thanksgiving Road Race this week in Andover, Massachusetts. Whether they result in me expending “36% less energy than running in shorts,” as www.cw-x.com claims, is yet to be seen. I would be happy if they resulted in 36% less redness in the face. This entry was posted in Fitness, Humor, Reviews, Running and tagged running apparel. Bookmark the permalink. Maybe these will stop you from looking like a Moose when you run! Uh these tights are… AMAZING! I run for my college and when we go outside, burr it’s cold! That’s excellent to know! I am hoping they do the trick tomorrow as it looks like it is going to be freeeezing. I’m worried I’ll take one look at the temperature and wimp out.